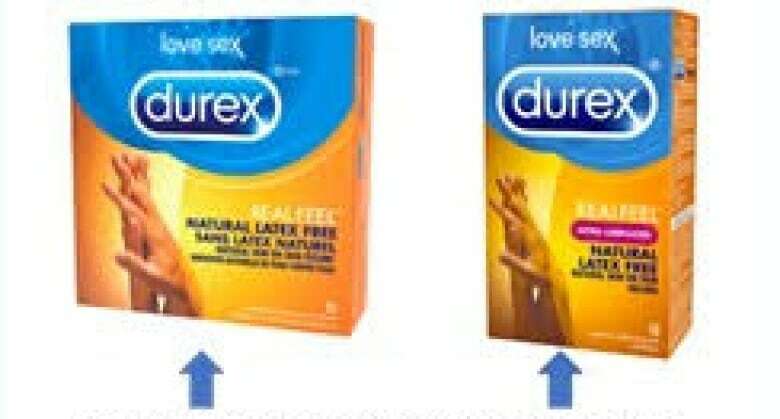 Durex has recalled certain batches of its Real Feel condoms after they failed a shelf-life test. The brand's parent company, RB Health (Canada) Inc., said certain batches of the Durex Real Feel Extra Lubricated 10ct condoms and Durex Real Feel 20 ct condoms didn't pass a "stringent" durability test. Batch numbers are visible on the bottom of the box and on the foil wrapping of each condom. Durex said anyone who bought the recalled condoms should be able to return them to the place of purchase for a full refund. The company said there are no safety concerns associated with using the recalled condoms.